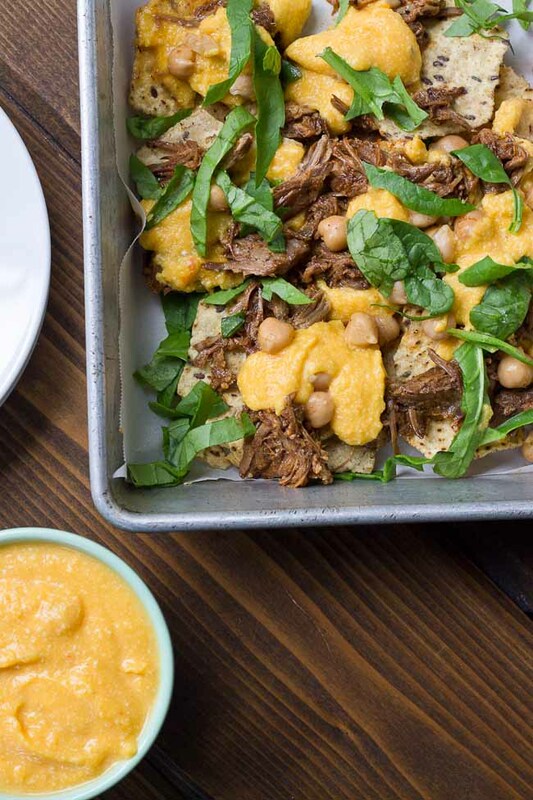 Not your mama’s nachos but these Slow Cooker Steak Nachos with Spicy Butternut Squash Queso are as flavor filled as it gets! Butternut squash makes the queso creamy with half the cheese to save fat and calories. Oh and the steak is crazy tender, perfectly seasoned and made right in the slow cooker! Thank you all for the awesome feedback yesterday on the “How Much Protein Do You Need” blog. I’ll be sure to include more posts like this! 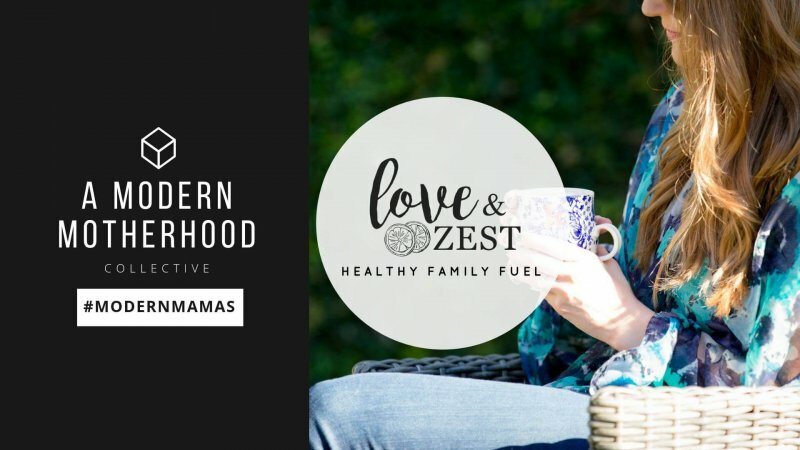 Let me know if you have a specific nutrition topic too that you’d like me to blog about. I’m a bit under the weather today, anyone else hit with a cold? Sometimes it’s hard to tell if it’s an allergy attack or cold with me, but with this spotty weather that we’ve been having everyone seems to be getting sick. Kara inspired me to drink tea before my coffee and I’ve been doing that this week! In fact I’m drinking about 3 cups of green tea per day and I’m starting to love it. Sorry guys, if you’re like what in the world Kristina another butternut squash recipe?! But seriously, look at them— aren’t they gawwwgeous? Makes me want to dig a spoon right into the middle of that roasted baby. They are one veggie that I just can’t seem to get enough of this season. I haven’t really ever cooked with the butternut squash before this fall but now I’m adding it to everything!! I even used some of the leftover queso and stirred it into our pasta last night! AMAZING! Now this queso is spicy, which is great if your sick because it will for sure clear the sinuses! But no worries, if you’re not a spicy guy or gal, just sub in your favorite cheddar cheese. But I love spicy. This is a no.bake.nacho because the steak is made in the slow cooker and butternut squash in the oven! You’ll want to avoid baking the nachos loaded because the butternut squash could make the chips too moist— it will still taste good but messier to eat. 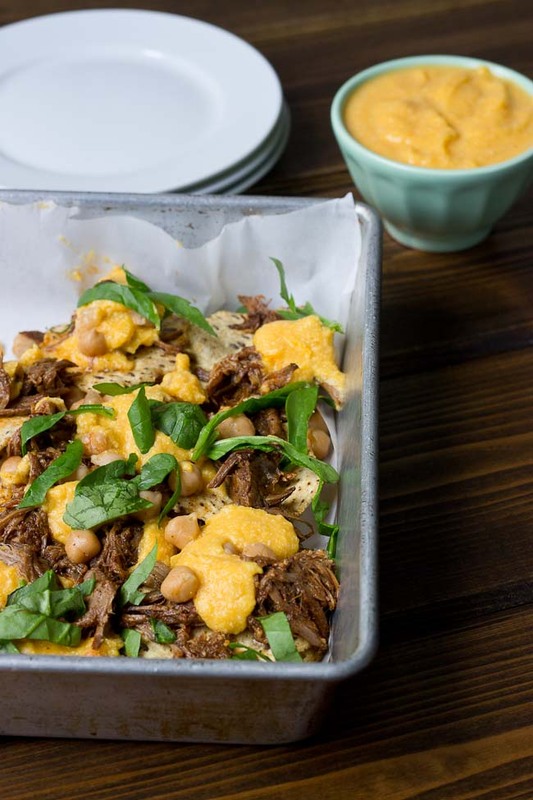 You know I’m a fan of the nacho… as they make an appearance on our weekly dinner menu regularly.. and it’s mostly because I love the ease of using the crockpot! Kali made sirloin tip steak in the slow cooker and it blew my mind, I was instantly dreaming up recipes.. and naturally the nacho came to mind. I’m so glad I FINALLY learned how to cook steak in the slow cooker!! 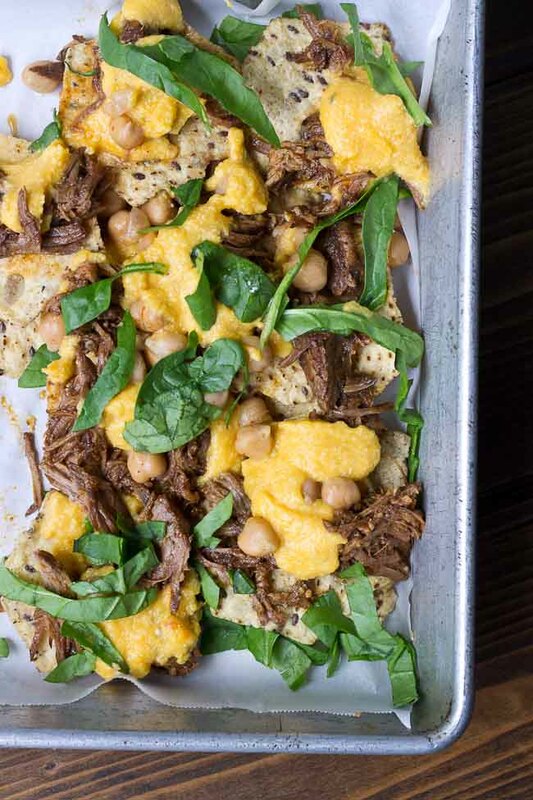 These nachos are actually pretty light and satisfying; you’ll feel good after eating them! Questions: Are you loving butternut squash this season too? What’s your favorite way to cook it?? Add all steak ingredients to slow cooker and cook on low heat for 8-10 hours; shred steak once finished cooking. 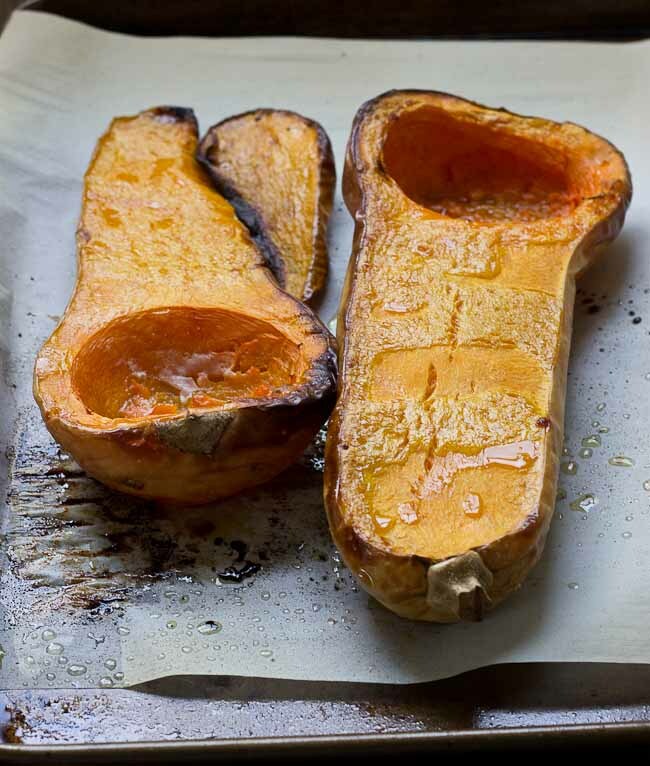 Place half butternut squash on parchment paper and drizzle with olive oil; bake for 45 minutes. Scoop butternut squash out of skin and place in food processor; blend until smooth. Add shredded cheddar cheese to squash, and puree until all cheese is melted and blended into butternut squash. 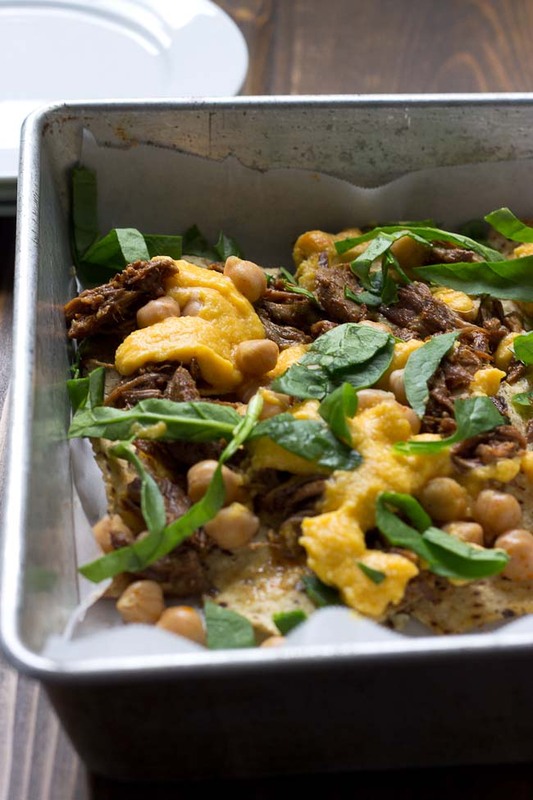 To make nachos, layer chips with steak, beans, queso, and spinach. Enjoy while hot. Note: To make queso dip less spicy, use 2 ounces habanero cheddar cheese and 2 ounces traditional cheddar cheese. This makes a large batch, but I love leftovers so to serve a smaller crowd, simply pre everything, and then half the steak, queso, chips, beans, and spinach for another night. Ooooh these look so FAB – I can’t wait to make them! And the photos are stunning!! 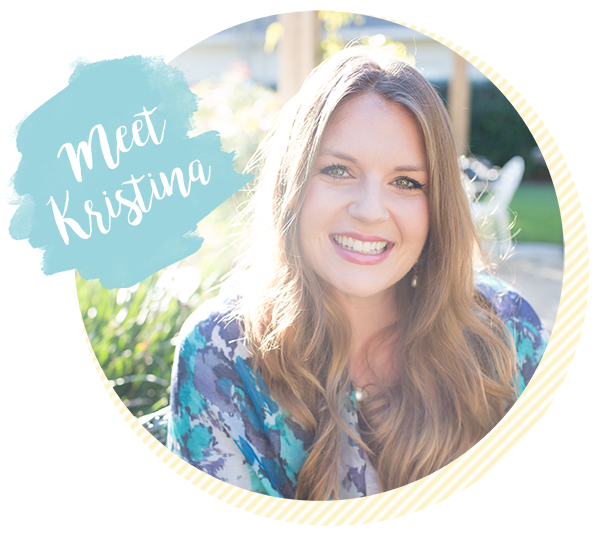 KRISTINA-I ABSOLUTELY AM IN LOVE WITH THIS RECIPE! I JUST CHOWED DOWN AND LOVE THE SWEET AND SPICY OF THE QUESO. MY HUSBAND IS WORKING IN THE GARAGE AND WHEN HE COMES IN FOR DINNER I’M GOING TO GET MAJOR PROPS! THANKS. I’M A FELLOW RD AND AM DOING A COOKING SERIES FOR OUR CANCER SERVICES DEPT AND IM DOING A HOLIDAY SEMINAR NEXT WEEK AND AM DEMO’ING YOUR CHOCOLATE BARK-SUPER GOOD AND PRETTY. 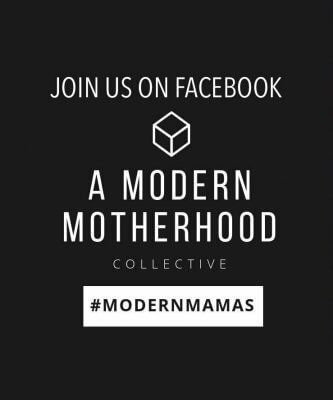 THANKS FOR A BEAUTIFUL BLOG THAT I LOVE TO CHECK OUT EVERY WEEK. YOU’RE THE CUTEST AND ONE TOUGH COOKIE-CROSS-FITTER. Hey Faron! Your comment made my night! I hope your hubby loved the recipe as much as you did. Ahh, so cool your an RD too!! I’d love to hear how the cooking series goes 🙂 Love that you are making difference with nutrition, what rewarding work you do. OMG, this looks and sounds amazing! Your photos are stunning and that butternut squash queso…YUM! This looks absolutely fabulous! I love the healthy spin on nachos!!! All over this butternut squash queso! Yum! Love that you’re drinking more tea and hydrating in the morning. Hope you feel better soon! What a gorgeous recipe. Love the combo of ingredients and flavors. Love the addition of the roasted squash to the Queso. Must try this! Thank you my dear! Can’t stop won’t stop with the squash!